Very often, it seems many people do not know the nomenclature, belief and lifestyle of this young, vibrant,transformational leader of our generation. A gift to the good people of Ekiti Local Government of Kwara State at this time. He is a man that practice what he say and says practically what he can do. His passion is rescue and deliver the people of Ekiti LGA especially the poor and the able youth by providing job opportunities, empowered the skilled one and train the unskilled ones among them in turns making life bearable for all and sundry. 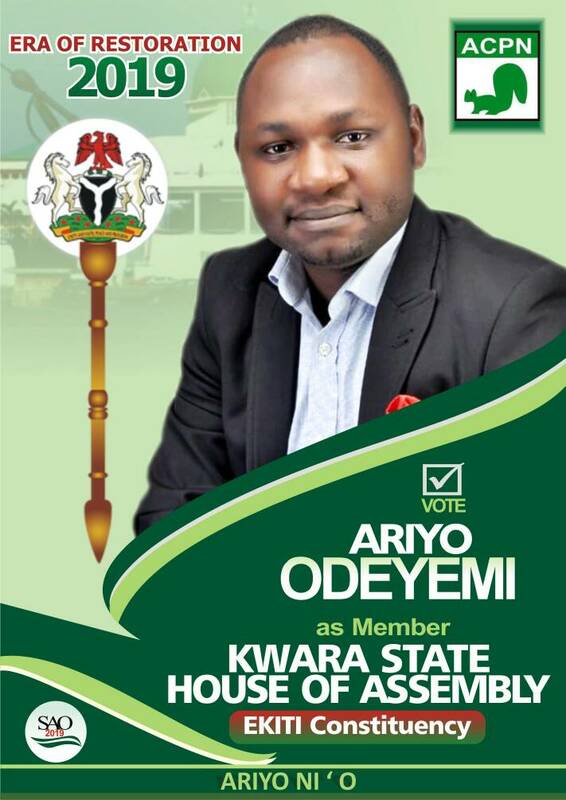 Hails from ora Ayegbaju, obbo ile ward, Ekiti Local Government of Kwara State. He is highly educated, skillful and resourceful. He holds a Masters degree from Nigeria premier University, the University of Ibadan. He has so many professional certificates to add to his credit. This is the face of the leader you truly deserved. Do not be decieved, IT IS YOUR TURN. 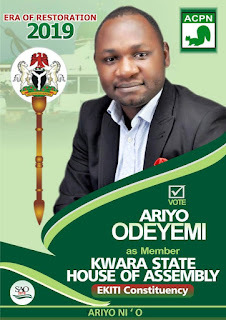 Vote SAO 4 House of Assembly.